Public policy researchers at Duke University wanted to know the economic effect of divorce on mothers. “What we found surprised us: the average mom who divorces ends up with just as much income as a similar mom who stays married,” says Professor Elizbeth Oltmans Ananat, as quoted in the Sun-Sentinel. 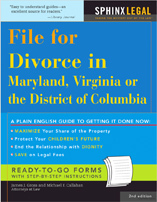 Chicago Divorce Attorney Reviews Fathers’ Rights Book More Divorces in a Recession?